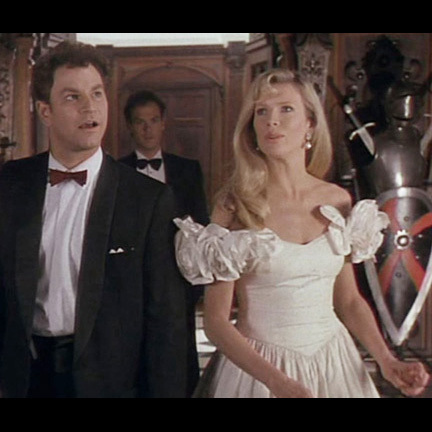 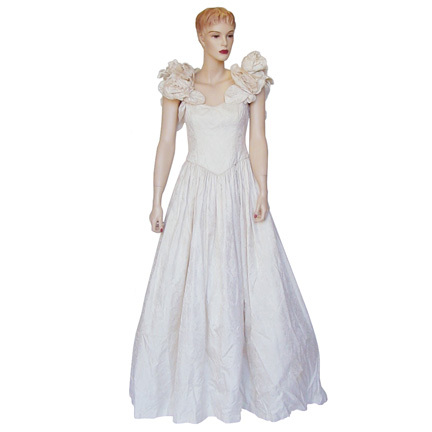 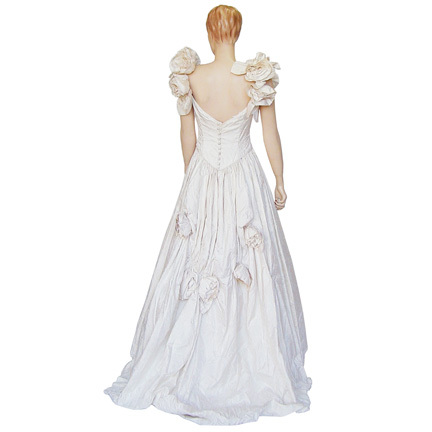 This white ball gown was worn by the character Vicki Vale portrayed by the actress Kim Basinger in the block buster movie Batman, which was released in 1989 and also starred Michael Keaton and Jack Nicholson. 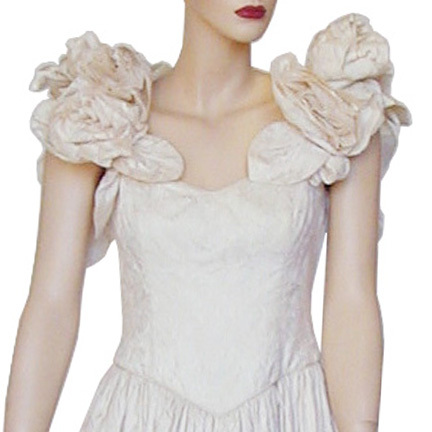 This white gown was made by Chelsea Design Company and constructed of a off white silk organza. 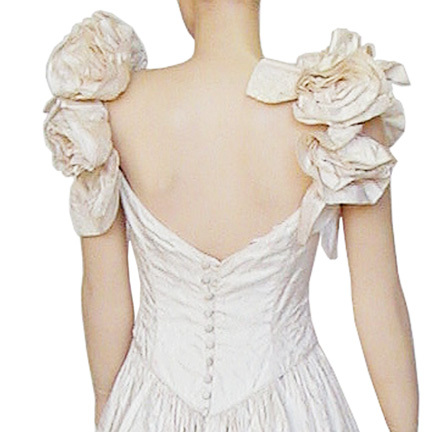 The dress has ruffled shoulder straps, multiple button closures up the back of the gown, and is adorned with white fabric roses at the hem. 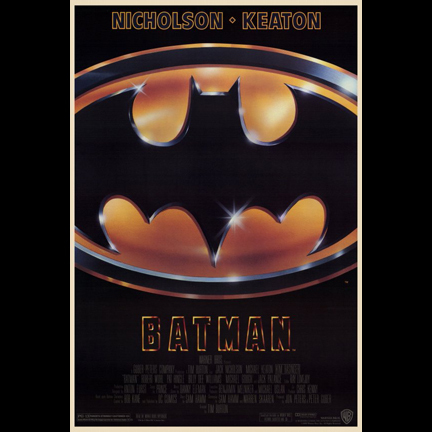 Batman won an Oscar for Best Art Direction-Set Decoration. 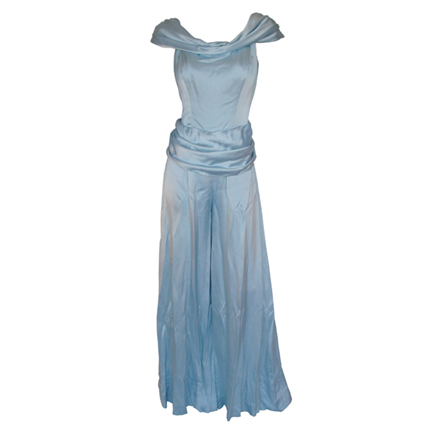 This gown is in excellent screen worn condition and was originally obtained from Christies Auction house from the June 16, 2005 sale.